Uglyworld #181 - Wage Sorts Out The Flour, originally uploaded by www.bazpics.com. After Babo had spotted Wage hiding behind the measuring jug he asked him to help out so that they could make the pancakes quicker, and therefore fill the bellies of all the other uglies much faster. 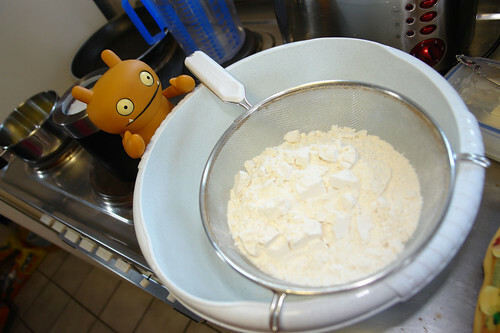 Wage was only too happy to help and started to sieve the flour into the bowl ready for the eggs, sugar and vanilla escence to be added next.